SE 17th, looking southward from Holgate, photographed while out running errands this morning. 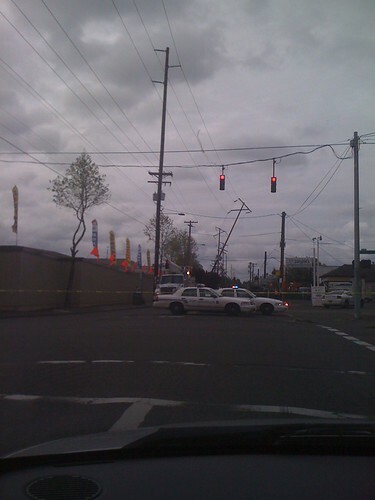 There were numerous police cars, several fire trucks and ambulances, and a whole passel of utility trucks. Wish I’d had the big camera with me. Photo © 2010, Joseph E. Lake, Jr.
Friend-of-a-friend request. Any of you greater Portlandians know of a poetry circle or crit group I can recommend to someone in good conscience? Thanks!